Beer Nerd Details: 13% ABV bottled (11.2 oz). Drank out of a snifter on 6/27/14. Beer Nerd Details: 13% ABV bottled (12 oz). Drank out of a snifter on 6/28/14. Bottled 04/16/14. So there you have it. Jeppe wins this round, but only really because coffee, and if other beer geeks are any indication, the coffee stuff would probably be treated more fairly. I know, I'm the worst. 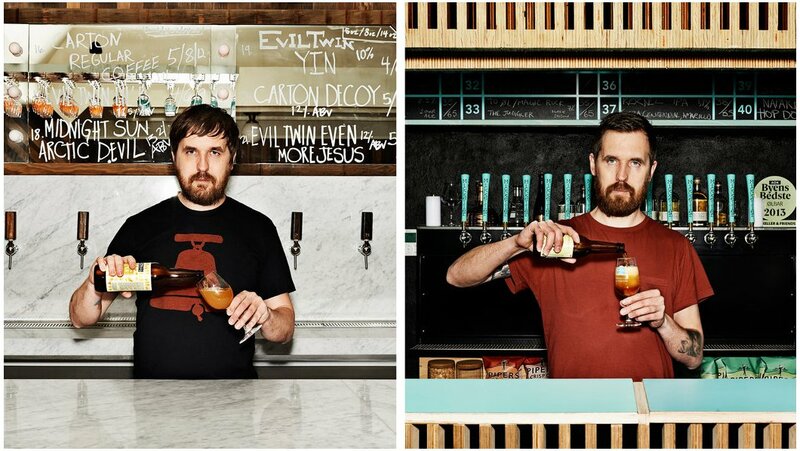 I actually think the Evil Twin one will age really well, so I may try to snag some more of that. Beer Nerd Details: 8% ABV bottled (375 ml). Drank out of a tulip glass on 2/22/14. So not blowing the doors off the building or anything, but I'm still curious to try more from this pair of gypsies. 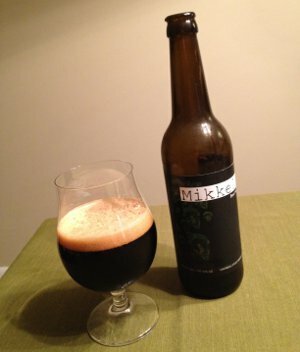 Mikkeller Beer Hop Breakfast - Pours a thick black in color with a couple fingers of light brown head. Smells of light roast, caramel and chocolate, with some piney hops apparent (but not quite as prominently as I was expecting). 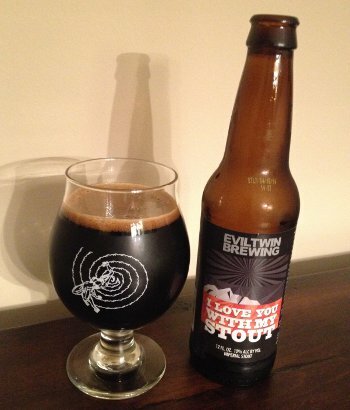 The roastiness comes out much more in the flavor, along with some coffee and bitter dark chocolate in the finish (the additional hops may also have been a contributor to the bitter finish). Not quite as much hop flavor as I was expecting, but it's clearly more of a hoppy beer than the Brunch Weasel. 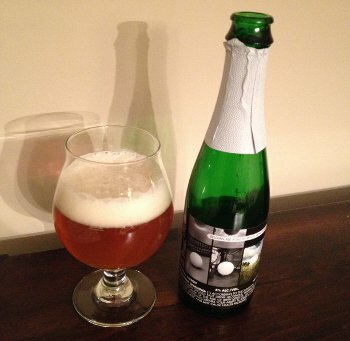 Mouthfeel is definitely less full than the Brunch Weasel, thinner, but not watery or anything, with a dry finish. Overall, it's a nice beer, but I wish I had a fresher bottle. I'll give it a provisional B, but it could go either way. Beer Nerd Details: 7.5% ABV bottled (500 ml). Drank out of a tulip glass on 8/31/12. Also known as: that beer made with weasel poop coffee. 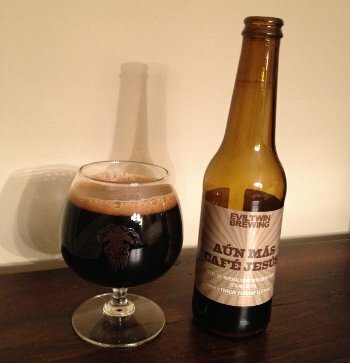 Yes, this beer is made with civet coffee, one of the world's most expensive varieties. Apparently, coffee berries are fed to weasel-like civets and are thus passed through their digestive tract. The idea here is that the coffee beans are exposed to various enzymes in the process, helping break them down. But not too much, as the beans retain their coffee-like properties, just with a different, supposedly less bitter character. There's apparently a lot of controversy surrounding the coffee due to the novelty factor and also the ease with which "fake" civet beans are put on the market. Oh, and the fact that people are drinking coffee made from poo. Ok, fine, the coffee is apparently washed and roasted, but still. Weasel poo. 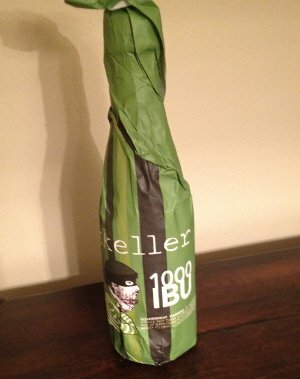 Beer Nerd Details: 10.9% ABV bottled (500 ml). Drank out of a snifter on 7/20/12. Up next on the wallet-lightening train of Mikkeller beers is Beer Hop Breakfast - basically a similar beer, sans poo, plus tons of hops. All aboard! Beer is quite sweet. Even highly attenuated beers still end up with a fair amount of residual sugars, and to counteract all this sweetness, brewers turn to our lovable friend: the hop. Among other trivial things like flavor and aroma, hops provide a bitterness that makes beer palatable, and one way to measure hop bitterness is through a system of International Bitterness Units (or IBUs for short). On the low end of the scale, you've got beers like industrial light lagers (of the macro-brewer kind), clocking in at around 8-12 IBU. This is apparently pretty close to the lower taste threshold for us humans. When you get into pale ales, you see stuff in the 35-50 IBU range, and IPAs go well beyond that. The theoretical limit of the human ability to detect bitterness is around 100 IBUs. Now, the stronger the beer, the more malt sweetness there is to be balanced. Thus IBUs alone don't tell you very much about a beer. A monster 13% ABV imperial stout with 100 IBUs won't necessarily be the most bitter beer you've ever had. In fact, it's likely to be pretty darn sweet. On the other hand, a simple pale ale with 50 IBUs may hit you in the face like a sledgehammer. Brewers use various ratios comparing IBUs to Original Gravity units (BU:GU ratio), but now we're venturing into the dreaded mathematics territory, so we'll just leave it at that. Beer Nerd Details: 9.6% ABV bottled (375 ml capped). Drank out of a snifter on 7/7/12. It appears that this Mikkel guy knows what he's doing. You'll have to pay an arm and a leg for his stuff, but in most of my experience, it's worth the stretch. 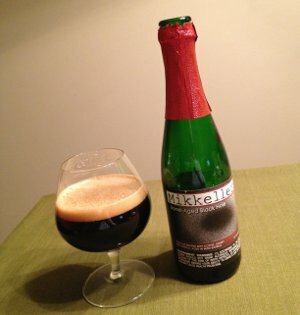 I've got a few more Mikkeller beers in the pipeline, including one brewed with weasel poop coffee. And another stout that's been aged in red wine barrels. 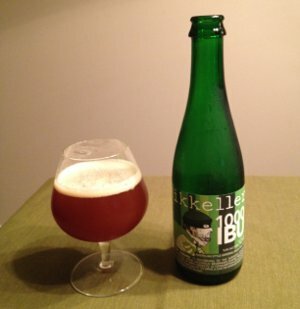 So yeah, lots more Mikkeller to come on the blog in the coming months. This page is an archive of recent entries in the Denmark category. Cayman Islands is the previous category. Germany is the next category.